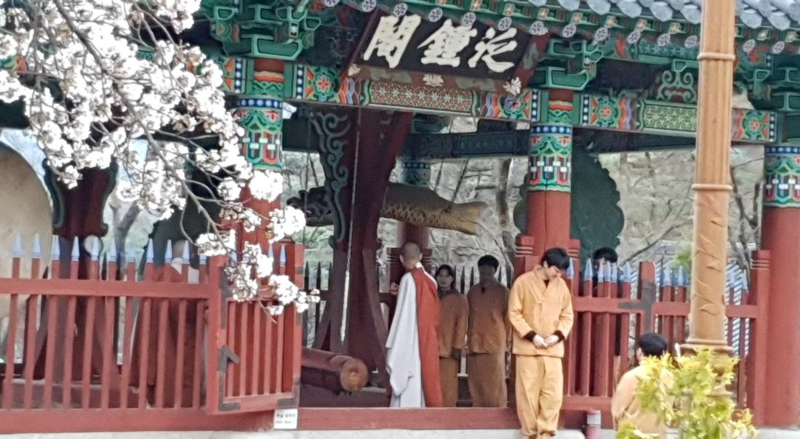 The region of Gimcheon, where the temple Jikjisa is located, halfway between Seoul and Busan. The Seoul-Busan train line and the expressway will pass by the area. If you love traveling by train, then Gimcheon is definitely perfect for you. 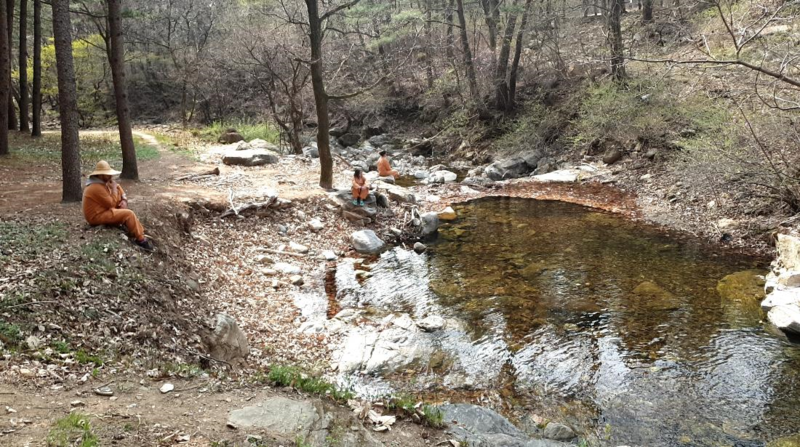 Visit us as soon as possible, since there are frequent local buses waiting for you in front of Gimcheon Station that will take you right to Jikjisa. According to Ven. Ado, Jikjisa’s history spans more than 1600 years. It was founded during the reign of Shilla King Nulji (418 C.E.). 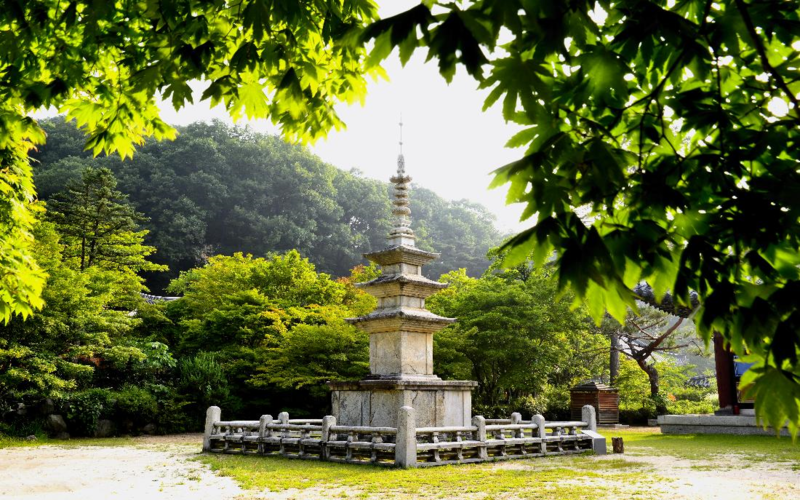 During the Joseon Dynasty the temple’s influence was so great that it even spread out to the downtown of Gimcheon. 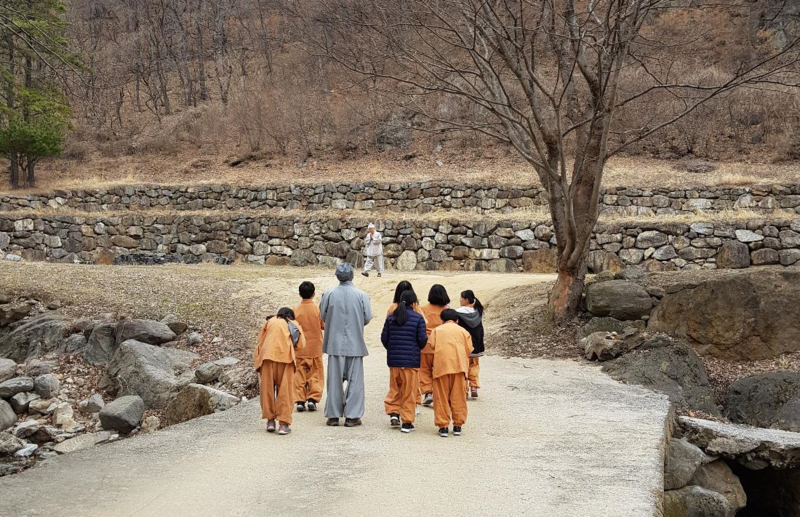 The name “Jikji”, came from the expression of Seon(meditation) School which means “Pointing directly to the Original Mind”. It also refers the fact that Ven. Ado pointed out that this spot was a good location to build a temple. 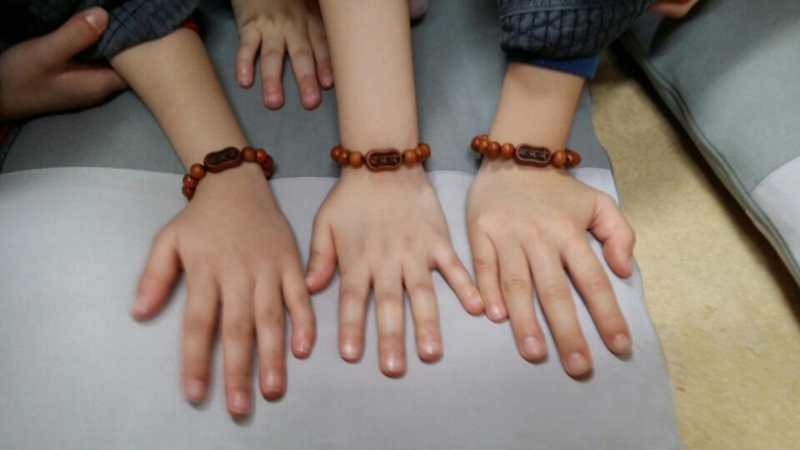 Finally, During the Goryeo Dynasty, rulers were not using in measuring to build temples, but instead, it was measured by hand(Ji means "finger"). 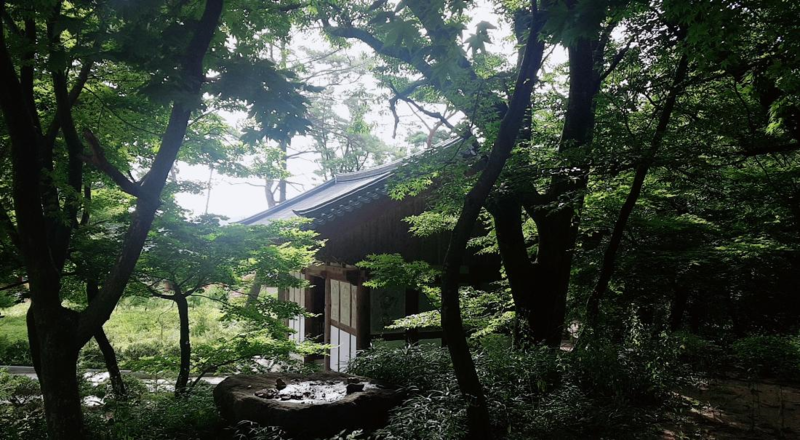 At the entrance of Jikjisa, there is a small park that people can rest, which you can see how luxuriant the forest surrounded the temple is. 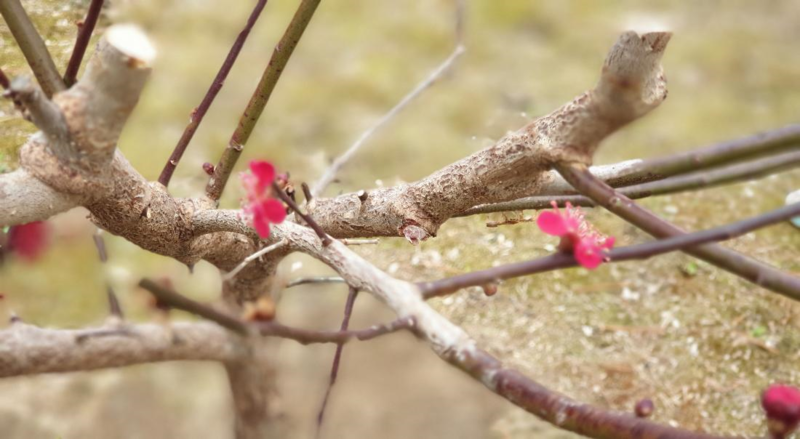 Not only that, within the temple grounds there are various flowers and trees that bloom in a different season which make the place really magnificent. And of course, people can stay as long as they want in the ancient temple buildings. There was a story that when you go to the Vairocana Buddha Hall and see the baby Buddha for the first time, you will receive a blessing -you’ll give birth to a son. 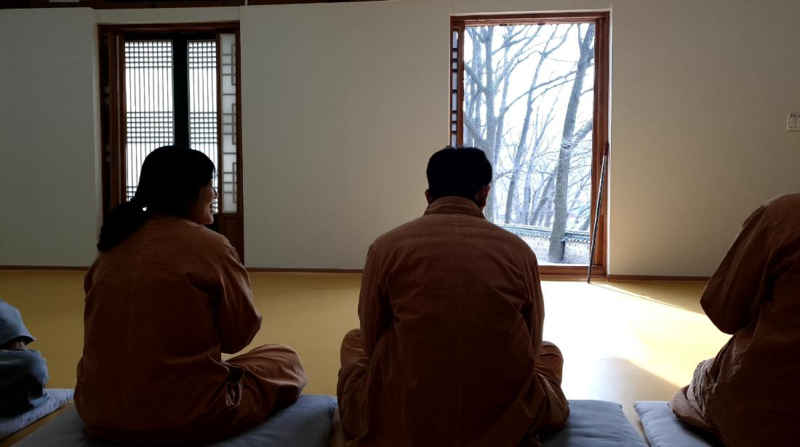 There are two kinds of programs in Jikjisa Temple Stay. 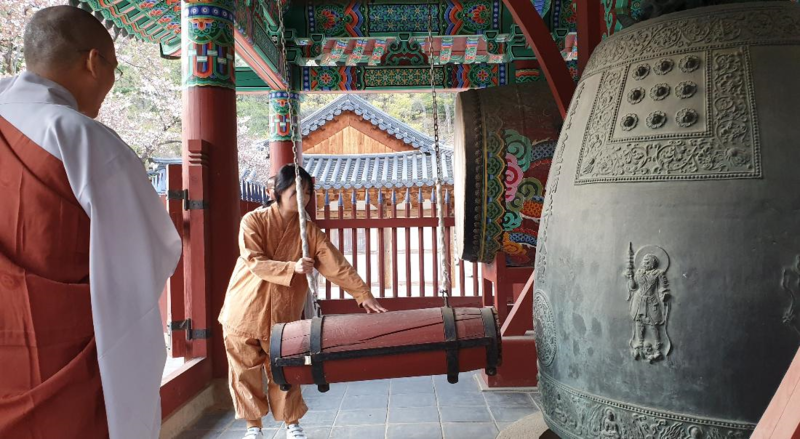 We have Experiential Temple Stay or "Looking straight into your heart", which you will have a chance to experience the traditional Korean culture and Buddhist monks' lifestyle. 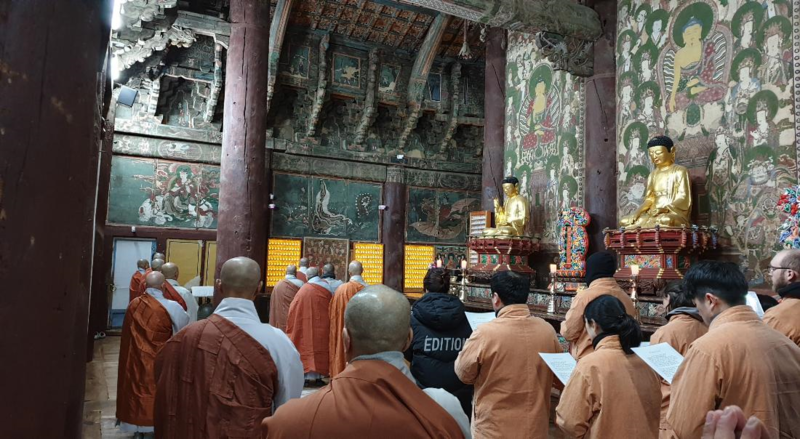 The program proceeds with various schedules such as Buddhist chanting ceremonies, meditation and hiking to the small temple together with the monk and making 108 prayer beads. 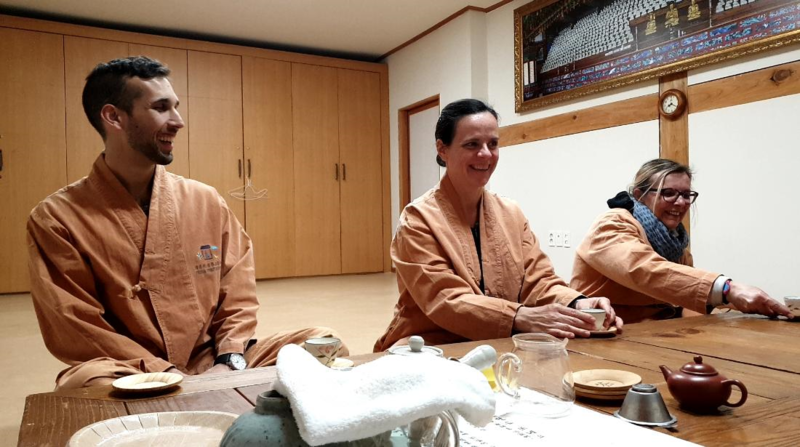 Another program is Resting-Style Temple Stay or "Tranquil Temple Stay for Relaxation". 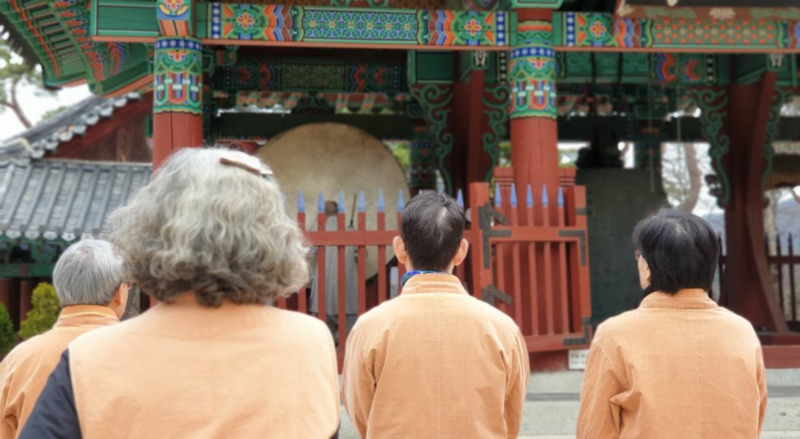 This program has no fixed schedule except three meals and three chanting times a day. Search for inner peace and harmony with beautiful natural scenery and temple's unique atmosphere which you can have a piece of mind and recharge youself.